Cytosport Muscle MLK Genuine Nature's Ultimate Muscle Protein is a great-tasting, protein-enhanced functional formula that combines 32 grams of high-quality protein along with premium ingredients to provide sustained energy and recovery for performance and lifestyle. Muscle MLK consists of a precise blend of multi-source proteins, functional fats, low-sugar carbohydrates and 20 vitamins and minerals in a lactose-free formula. Muscle MLK is an ideal nutritional choice whether you are a performance athlete, watching your diet, or simply desire to gain strength & maintain lean muscle mass. Premium Protein Blend: A precise mix of complete proteins including, Calcium & Sodium Caseinates, Milk Protein Isolate, Whey Protein Isolate, Whey Protein Concentrate, and Micellar Casein. LEANLIPIDS: Trans-fat free Medium Chain-Triglycerides (MCT's) are more likely metabolized for muscle energy than stored as fat. Long-chain polyunsaturated and monounsaturated fatty acids from sunflower and canola oils provide essential fatty acids. NEW LIPIDS BURN FAT... INSTEAD OF STORING IT! MCTs, the predigested "fatless fats", are more likely burned for muscle energy and heat than stored as fat. 20% of human milk and MUSCLE MLK lipids are MCTs. MCTs also promote positive nitrogen balance. Long-chain polyunsaturated fatty acids are also less likely to be stored as fat. Cytosport uses special enzyme engineering to make these lipids even more functional, promoting anti-inflammatory effects and enhanced mineral retention. Recent research reveals calories with engineered lipids, taken before and during workouts, promote leanness. It is thought that these calories are used for workout energy, with less deposited as fat. So while MUSCLE MLK may contain slightly more fat than older ultra-carb products, their LEANLIPIDS are designed to help you get leaner. MUSCLE MLK helps grow muscle faster than gainers, whey or even creatine. This increased muscle growth is possible because MUSCLE MLK is the first product patterned after Nature's ultimate anabolic food-human mother's milk. Locked within human mother's Mlk are long-held secrets to muscle growth potential previously considered impossible. After years of study, Cytosport has unlocked these secrets! They then took the next step and actually duplicated these important muscle growth factors into MUSCLE MLK. MUSCLE MLK HELPS YOU GROW MUSCLE LIKE NEVER BEFORE, EVEN FOR THE HARDEST GAINERS! Growth promoting as human milk is, Cytosport found ways to improve on it for even greater muscle synthesis. For example, they reduce lactose and fat, while discovering a way to recreate the lean-promoting lipids in human milk. Plus, they add a breakthrough that enables you to make more of your own creatine. CREATINE GCC- HELP SUPPORT YOUR BODY'S OWN CREATINE PRODUCTION - Cytosport discovered a revolutionary method to increase your body's own production of muscle energy critical creatine. These creatine factors help your body to produce more creatine than normal. Creatine supplements are good, but so is your body's making more of its own. EVOPRO NATURE'S ULTIMATE ANABOLICPROTEIN-AMINO BLEND - Human milk is composed of highly unique and complex proteins, peptides and amino acids, which is why it grows human muscle tissue so rapidly. EvoPro includes these alpha and beta micellar caseins, a-Lactalbumin, lactoferrin, glutamine peptides and more. When is the best time to take Muscle MLK? The premium protein blend and macronutrients in Muscle MLK make it ideal to support post-workout recovery. Additionally, Muscle MLK may also be used as a protein-enhanced option throughout the day. Who can use Muscle MLK? 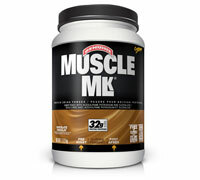 Muscle MLK can be utilized by anyone leading an active lifestyle to support workout recovery. 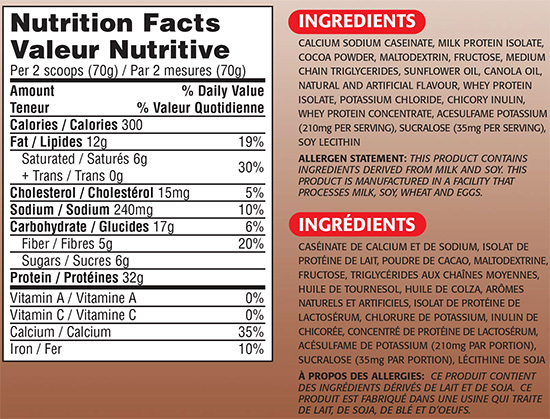 Additionally Muscle MLKcan be used by anyone looking to increase their daily protein intake. What type of proteins are found in Muscle MLK? Muscle Mlk contains a premium blend of dairy-based proteins, including calcium and sodium caseinate, milk protein isolate, and whey protein isolate. Is Muscle MLK lactose free? Yes. Muscle MLK is lactose free. Mix 1 scoop (35 g) into 5-6 fl oz water. Mix 2 scoops (70 g) into 10-12 fl oz water. Muscle Milk can be used before workout, after workouts, or prior to bedtime. Individual nutritional requirements vary depending on gender, body weight, level of activity and exercise/training intensity. CytoSport products complement a healthful eating and hydration plan that, when combined with a balanced exercise program, may contribute to healthy weight management and recovery from exercise. Use 1-3 servings (35 g per serving) per day as part of a well-balanced diet that includes whole foods and other protein sources.